Feeling that the sense of the first drilling of ordinary drills lasts about 4 to 5 times normal. I wanted to meet sooner. This review is about item#05829966. I use it with Almighty I use it in the prepared hole of m6. This review is about item#05829975. I decided to purchase because it was described so that it can be used up to SKD in item description. Although it is still used only for SS and SK materials, there are no problems such as chipping. 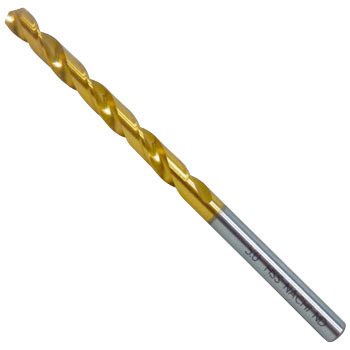 I had purchased a foreign cobalt highs drill before, but I was keenly aware that it is still better for Japan made from a bitter experience that the cutting edge was lost by several times use. Nazi is a favorite in Japan made cheap compared to other manufacturers. This review is about item#05830045.